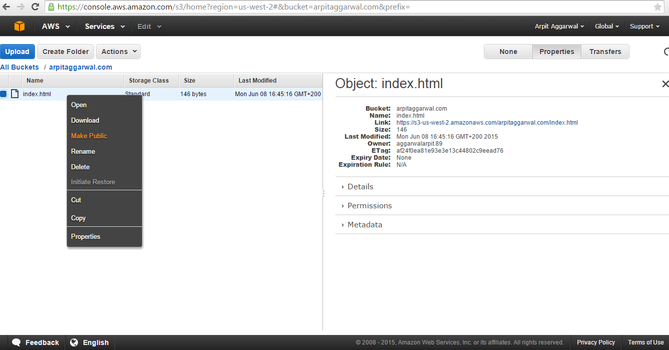 In this article we will host static website on Amazon S3, before hosting we will first understand what is Amazon S3. 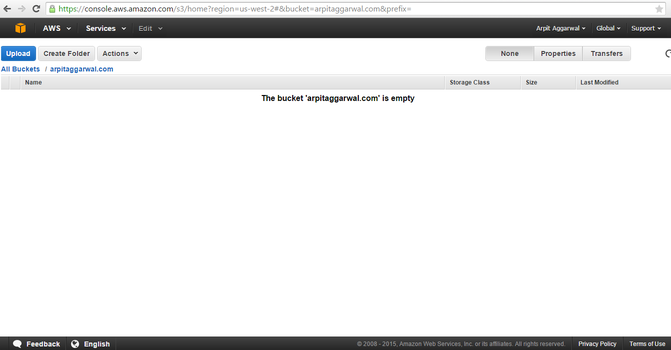 Amazon Simple Storage Service is storage for the Internet. It is designed to make web-scale computing easier for developers. It has a simple web services interface that you can use to store and retrieve any amount of data, at any time, from anywhere on the web. 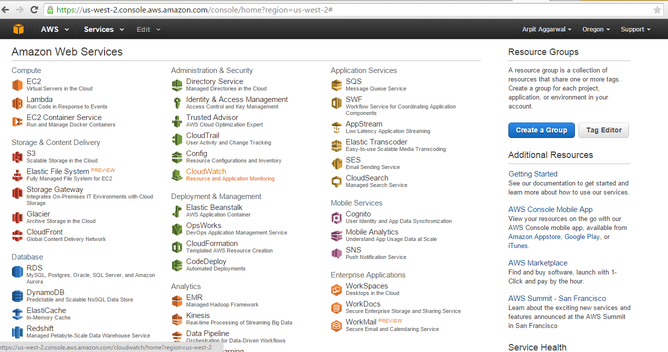 It gives any developer access to the same highly scalable, reliable, fast, inexpensive data storage infrastructure that Amazon uses to run its own global network of web sites. The service aims to maximize benefits of scale and to pass those benefits on to developers. Then clicking on S3 under Storage & Content Delivery will take us inside S3 and here we will create bucket to put our static files. 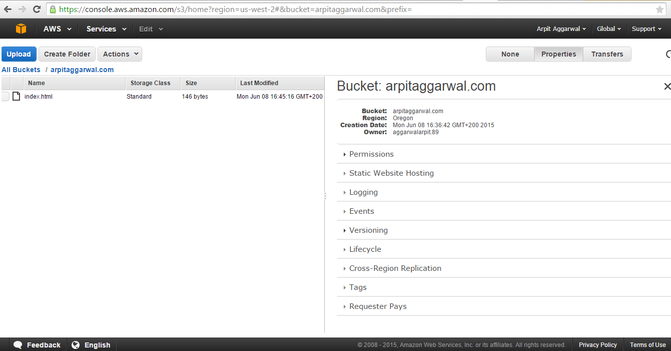 I already have one bucket created as you can see from image and now we will create another one name "arpitaggarwal.com" . 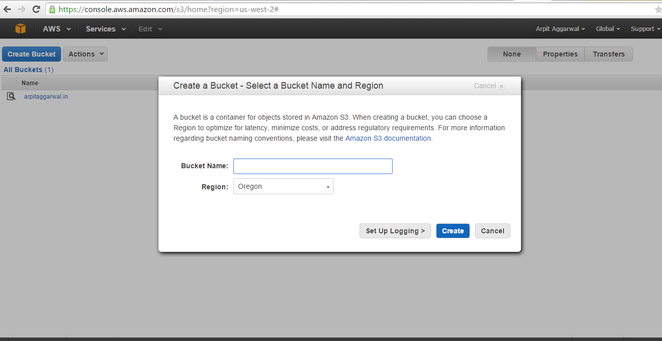 To start with click on Create Bucket button, it will pop up with a window where we will give a name to our bucket and region name and for now keep the region name as Oregon(default). 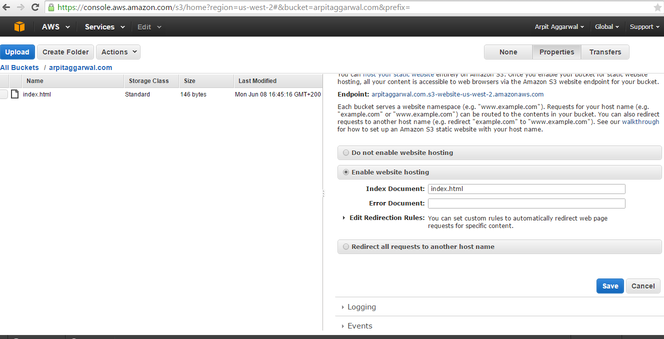 Now we are done with file creation and exposing it publicly. 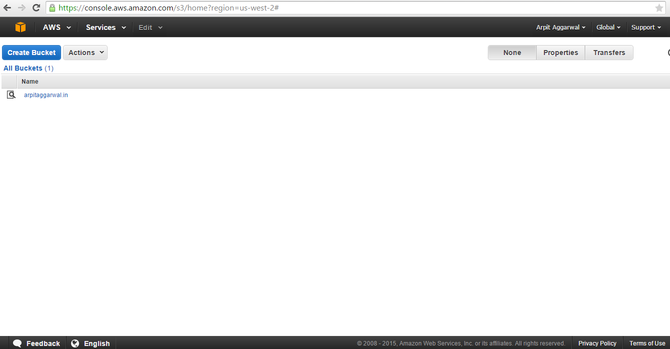 Now we have to enable the permissions to make it available to public. 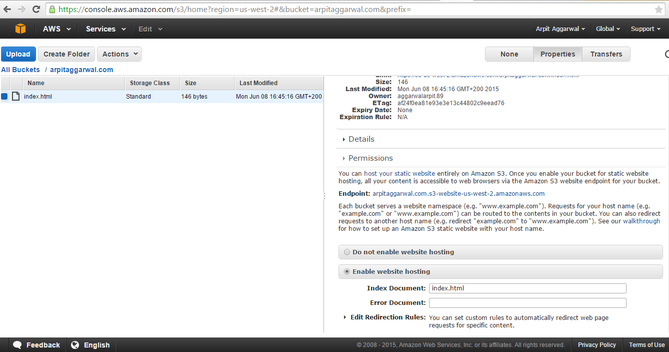 Click on Properties tab, we will see the below screen, here we will be changing the bucket permissions so it can be accessible publicly.